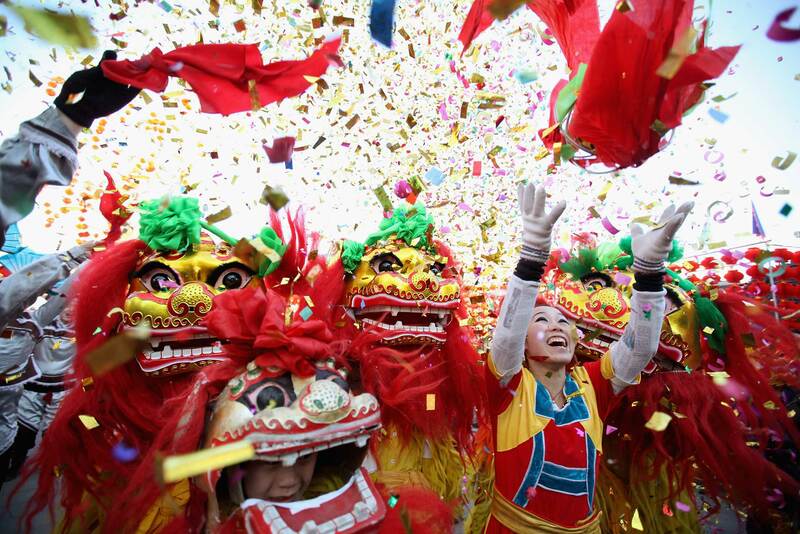 Today, Thursday 19th February, marks the first day of Chinese New Year and celebrations throughout the Chinese communities in the UK will continue until Sunday. However, in China this is celebrated over a 23-day period. Given China’s family orientated culture, relatives ensure that they are all reunited for Chinese New Year and you’ll often find that travelling in China is quite chaotic around this time of the year because of the amount of people travelling between towns and cities to be with their family. Chinese New Year is also known as the ‘Spring Festival’ and therefore, it is a festival that is welcomed with much excitement. It is customary for people to clean and decorate their homes on Chinese New Year. On the evening of Chinese New Year the streets are lit up by fireworks and firecrackers to ward off bad luck and attract good luck. Setting off fireworks and firecrackers goes on for days in China, making Chinese New Year famous for being vivaciously loud. 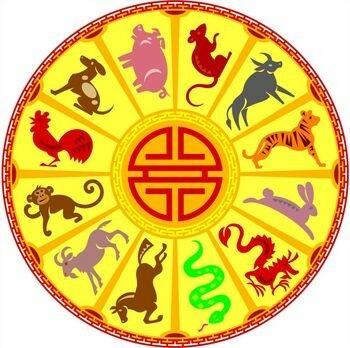 Each Chinese year is dedicated to an animal of the Chinese Zodiac, do you know why this is? The story/ legend behind it is quite fascinating and popular especially among children. The legend goes: Along time ago in China, the Jade Emperor who thought it was difficult to measure time, decided there should be an easier way to measure it. On his birthday he told some animals that there was to be a swimming race across a fast flowing river. He told them that the first 12 to make it to other side would have a year of the zodiac named after them. The rat and the cat were good friends at the time but they were both worried about crossing the river for they were poor swimmers so they asked the kind ox if he could help take them across the river – the ox agreed. The ox was in the lead and with the other riverbank fast approaching the rat decided to push the cat off the ox’s back and then decided to jump off the ox’s head onto the bank to win him first place and the poor deceived ox had to settle for second place! The third to climb the riverbank was the strong tiger that struggled against the river’s fierce currents and the fourth to cross the river with no efforts at all was the rabbit, which won him the fourth year of the zodiac. The fifth year was dedicated to the dragon; the Jade Emperor was confused as to why he took so long to cross the river when he could fly but the dragon told the Emperor that he had been helping others along his way. In the distance, the Emperor heard hooves and thought that the next zodiac year would be awarded to the horse but before he knew it, a snake had sneaked its way out from behind the horse’s hooves to win the 6th zodiac year. The next three animals to turn up was the goat, monkey and rooster because they had all shared a raft to help them across the river. In the above order they were awarded the eighth, ninth and tenth years of the zodiac. The last two animals to appear on the bank in front of the emperor were the dog and the boar, late because they had both been distracted on their way. Unfortunately, the cat never made it on time and since then cats and rats have never been on friendly terms. Unfortunately, there isn’t much being held in Bournemouth. On Monday there was a Chinese New Year celebration with traditional Chinese games held at the Genting Casino in Bournemouth. There will be a Chinese New Year’s event held at the Bournemouth Library on Saturday but other than that the best way to experience Chinese New Year in Bournemouth is probably at a Chinese restaurant, such as the Mandarin or Ocean City. If you happen to be in bigger cities such as London, Manchester or even Southampton, events such as dragon and lion dancing as well as martial arts shows are an integral part of the celebrations and these will normally happen at the weekend. Of course, WCE will be celebrating the Year of the Goat (or sheep) on Friday 20th so feel free to come to our social event where you can see what the Year of the Goat has in store for you and learn some Chinese at the same time! In the meantime we wish you a happy Chinese New Year full of health and prosperity. By worldchoiceeducation in How we help you, proverbs, Student Advice, World Choice Education on February 19, 2015 .